You know that moment when you realize your class material is going to run out before your class does? Or the moment it hits you that you probably won't want to start a brand new novel five days before a long break? Sometimes it's nice to have a few fun fillers in your back pocket. My goal with this post is to serve them up to you on a silver platter, so you don't end up frantically searching the internet at midnight trying to figure out how to use those awkward days you weren't anticipating. NPR used to have an amazing segment called "This I Believe." In it, the station invited people around the world to send in a short essay about one of their core beliefs. This belief could be anything, from "I Believe in the Pizza Delivery Guy," to "I Believe in Montessori Education." NPR has developed a full curriculum to guide teachers in helping students write belief essays. I did this project with my seniors when I was teaching abroad, and we loved it. We finished the unit by performing the essays in a live radio show in the main entryway of our building, and everyone who wanted to submitted theirs to NPR did. Two were even published on the NPR website. Listening to and reading great essays past, writing the essays, and performing in a live radio show will fill up at least one great week of classes, so definitely add this to your bucket list for the next time you have spare class days. Genius hour is an outstanding way to give students power over their own learning, no matter how many days you have available. 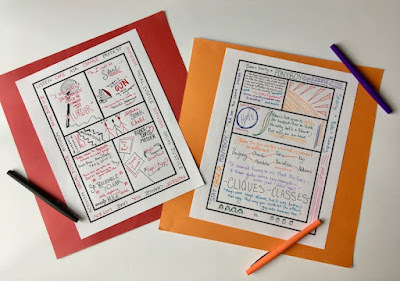 Think of what you could do with even three days to work on one of your passion projects, and then imagine the joy your students will feel if you give them a week or two between novels or units to pursue one of their dreams. Find out more about genius hour in this recent post. Another fun way to fill a gap would be to try out the concepts of Angela Stockman's wonderful book, Make Writing. Work with your art teacher to provide students with some artistic materials, then invite them to "make" a character. They can sketch, draw, paint, sculpt, even build with legos! Let them get to know their own character before diving in to write a story about him or her. If you'd like a leg up with designing curriculum for this one, I've got you covered. Design thinking is all the rage these days, but it's hard to nail down exactly what it is. With design thinking, students work to create something, but first they have the chance to dive deep into the issue or problem they want to address, getting inside the heads of the people they want to help. Give your students a chance to do a design thinking project that would improve your school or community, and you will give them the reins of their own learning along with a truly authentic audience for their work. Let one of my favorite education authors, John Spencer, be your design thinking guide when you take a few minutes to check out this great post on his site. One year I decided to devote two weeks in May to a free choice reading unit with my tenth graders. I went to the library, picked out thirty of my favorite books, designed a display that stretched across the whole back of my room, and launched. Everyone picked one of my books or found one of their own, read it, and then presented on it with a book project in a giant lunchtime reading festival. We even invited the ninth graders so they could get ideas for their own free reading. It was a huge hit. The students loved reading their own books. In class, I gave them some reading time and some time to work on their festival projects, and interspersed a few other activities relating to other topics we were focusing on that year. It was an easy unit to plan, and probably one of the most memorable of the year for my students. I really can't say enough about the power of poetry slam to engage your students. I've done about twenty over the years, and each has been unique, powerful, and FABULOUS. I love to see my students up there performing their poetry. I usually introduce poetry slams on a Monday and build up to them all week, then have the slams on Friday. It's quick and intense, and fills a week up in the blink of an eye. Get your roadmap here! 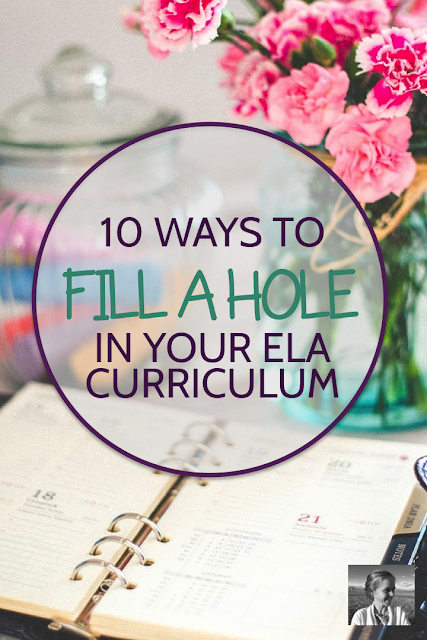 Or skip the planning and find the curriculum here. Who doesn't love a good Ted Talk? One of my personal favorites is "Inside the Mind of a Master Procrastinator," and I was so very happy when I convinced my school to show it at an assembly. 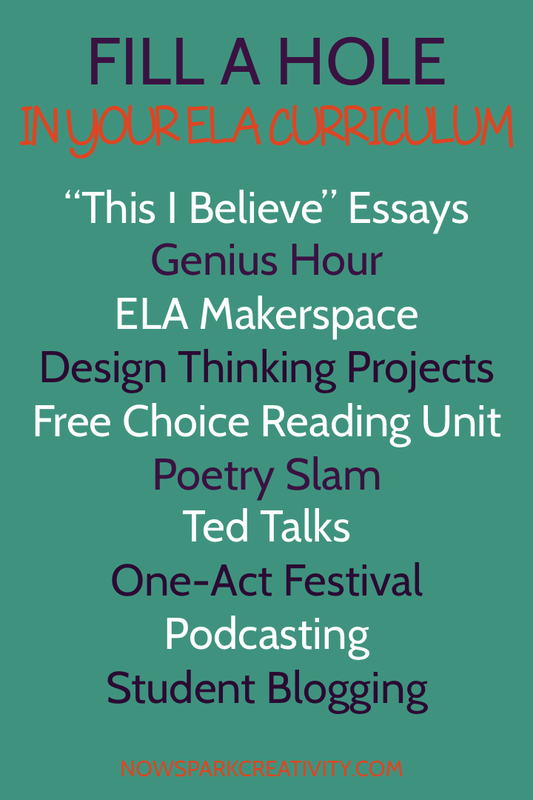 Spending a few days watching, discussing, and responding to Ted Talks in writing, while perhaps having students working on some Ted-style talks or organizing a Ted-X event in the community would be a fabulous use of a gap in your standard curriculum. If you're looking for ideas for great talks to share, check out my friend from Engaging and Effective's posts, "Quick Ted Talks to Develop Leadership and Character," and "Hilarious Ted Talks for the Classroom." Especially if your curriculum includes any drama, having a one-act festival with your students is so much fun! Invite them to script and rehearse short plays in small groups, then finish the unit with your own performance day. I ask my students to write their one-acts featuring important themes from our curriculum, but you could theme them any way you wish. I did this with my I.B. seniors after studying several plays and I think they learned as much about theater from this one-week project as they did from reading three plays. There's nothing quite like being on stage to force you to take your understanding of theater up a notch! Podcasts are growing in popularity and esteem. Around the world, people of all ages are looking for something that will teach and entertain them as they go about some of their daily tasks. Giving students a chance to get their feet wet in this medium is a great way to show them the real world applications of the writing and speaking practice they do in our ELA classrooms. I once had my students create short podcasts collecting stories and interviews around a theme, similar to the show "This American Life." They wrote introductions and segues, conducted research and interviews, tied everything together with a thematic thesis. Guess how much I knew about podcasting at that time? Zero. Zip. I asked our technology coordinator to give my students a quick mini-lesson and we were off to the races. When questions popped up, I invited them to search for youtube tutorials and talk to their friends to find solutions. And they always did. Of course, if you'd like to learn more about podcasting and dive deep with them into a program like Garageband, that would be great too. In that case, I recommend this amazing video from Pat Flynn, who walks you step-by-step through the process of creating a master episode template and editing a podcast. If you haven't tried this yet, get ready for FUN. I ran a whole student blogging elective one year and I don't know who enjoyed it more, me or my students. When you let students start blogs of their own, you empower them not only to share a passion with the world, but to realize just what an impact their writing and media skills can have. I like to give mini-lessons on types of blog posts at the start of a period (show what a list post looks like, visit a few examples online, then let them write a list post, etc.) A week or two of this routine and students will be well on their way toward an interning and varied blog. If this appeals, check out the full post I did about student blogging earlier in the year here. I hope one of these options appeals to you! A hole in the curriculum can be a fun opportunity for creativity when you've got a good list of ideas.